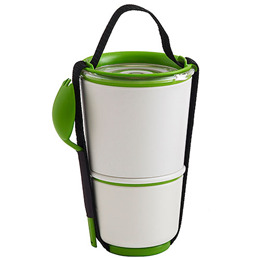 The Lunch Pot comes with 2 stackable lunch pots and carry strap. Inspired by Indian tiffin carriers, the Lunch Pot is slimmer and taller which makes it compact and easy to put in your bag. For breakfast try a hearty porridge in the top and a smoothie or juice in the bottom. Or for lunch, you could have a delicious main in the top and a smaller desert serving in the bottom. Once you’ve finished, the smaller pot fits inside the large pot for easy storage. There is also a handy carry strap which holds both pot, or just the larger pot alone. Includes a spork (spoon and fork combination). Microwave and dishwasher safe. 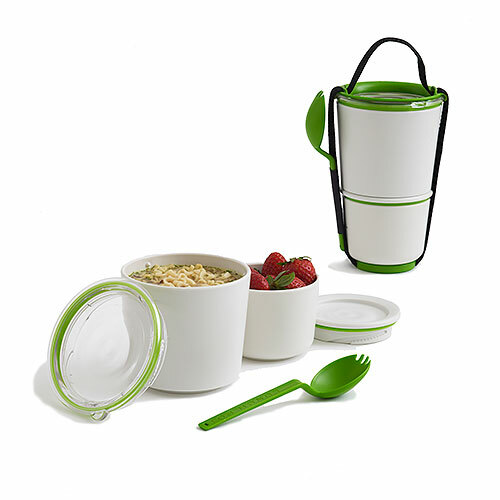 Below are reviews of Black+Blum Lunch Pot Lime by bodykind customers. If you have tried this product we'd love to hear what you think so please leave a review.